Syrian government forces, backed up by the Russian Aerospace Forces, have liberated the village of Baghliyah and nearby hills from ISIS terrorist sin the eastern Homs countryside. Thus, the army and its allies outflanked Dabat Milli, Taliah Sharqiyah and deployed in a striking distance from Rasm Hamidah where clashes are now ongoing. The general idea of this advance is to put additional pressure on ISIS terrorists north of the Homs-Palmyra highway and to contribute to a wider effort aimed at isolating and destroying a large ISIS grouping deployed at the town of Uqayribat. Pro-government units have been struggling to do this since June. However, ISIS has a strong defense and is not going to withdraw without the battle. Meanwhile, the Syrian Arab Army (SAA) Tiger Forces and pro-government Tribal Forces have liberated of Shinan and Abar al-Jeraih near the Euphrates River in southern Raqqah. 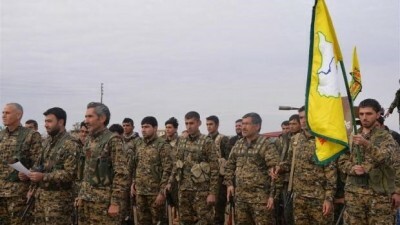 The advance followed reports that the SAA and the Syrian Democratic Forces (SDF) made a deal dividing the spheres of influence in the provinces of Raqqah and Deir Ezzor on July 20. The agreement was reportedly backed by Russia. According to the agreement, the SAA and pro-government tribal forces will be able to gain areas in the southern and southeastern Raqqah countryside and the northwestern Deir Ezzor countryside without any resistance or antagonism from the SDF. This will allow government forces, backed by the Russian Aerospace Forces, to advance towards Deir Ezzor city from the countryside of Raqqah and Palmyra simultaneously. Some 400 government fighters with battle tanks, multiple rocket launches and other equipment were allegedly deployed in Ukayrshah and Dahla near the contact line with the SDF. The total number of Tribal Forces fighters involved in the operation is about 4,000. The SDF allegedly abandoned plans to captured the western Deir Ezzor countryside. If it’s true, the agreement will be an important contribution to a de-confliction scenario between the SDF and various pro-government forces. However, there could be some hidden terms and conditions behind the deal that may appear later. There is a lack of info from Raqqah provinces because of a strict media censorship imposed by the Syrian military. Meanwhile, the SDF avoids publishing info about its contacts with the SAA. According to pro-Kurdish sources, the continued advancing in Raqqah city, repelled an ISIS attack killing 35 terrorists and seized a major part of Hisham Ibn Abdulmalik district. Some problems faced during the battle for Raqqah may be one of the reasons behind the alleged deal with the SAA.